Blade - damask steel. 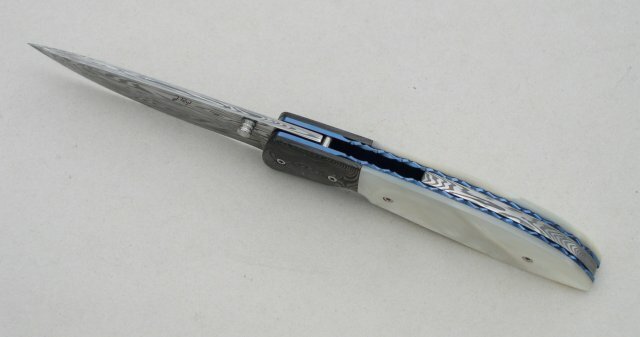 Knife-Handle - Mother-of-pearl. Liners - Anodized titanium. Length of blade: 85 mm.